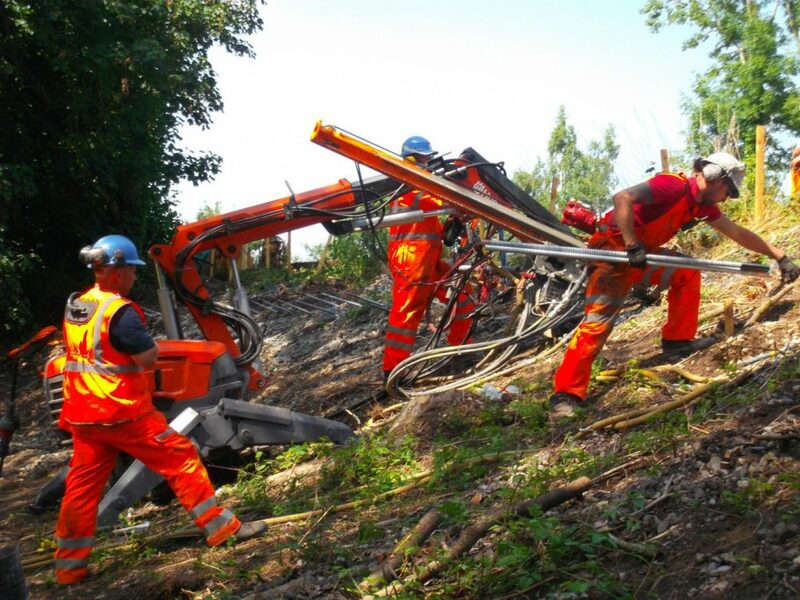 As a leading soil nailing contractor, Condor Projects are a highly experienced team that provide solutions for unstable ground conditions. 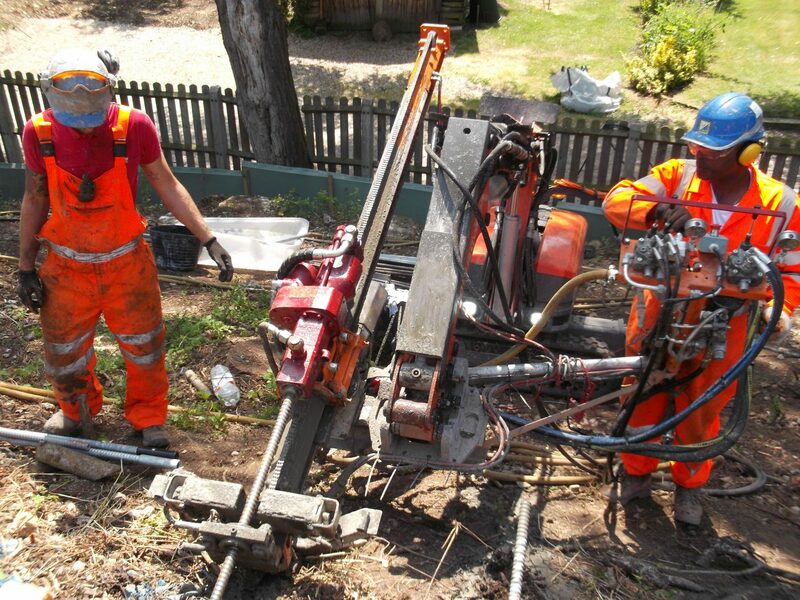 With their own geotechnical and design engineer, Condor Projects can manage all elements including, design, supply, installation and testing for stabilisation projects. The objective of soil nailing is to improve the in-situ mass by the installation of slender unstressed solid or hollow bars, which acts to tension the existing base material. Soil nails are usually steel bar, grouted into pre-drilled holes, but Condor Projects also have experience with stainless steel and GRP to achieve a design life of 120 years. Soil nails bind the existing slope together so that the mass strength is utilized. When close spaced, the soil nails form a monolithic block which acts as a retaining structure. 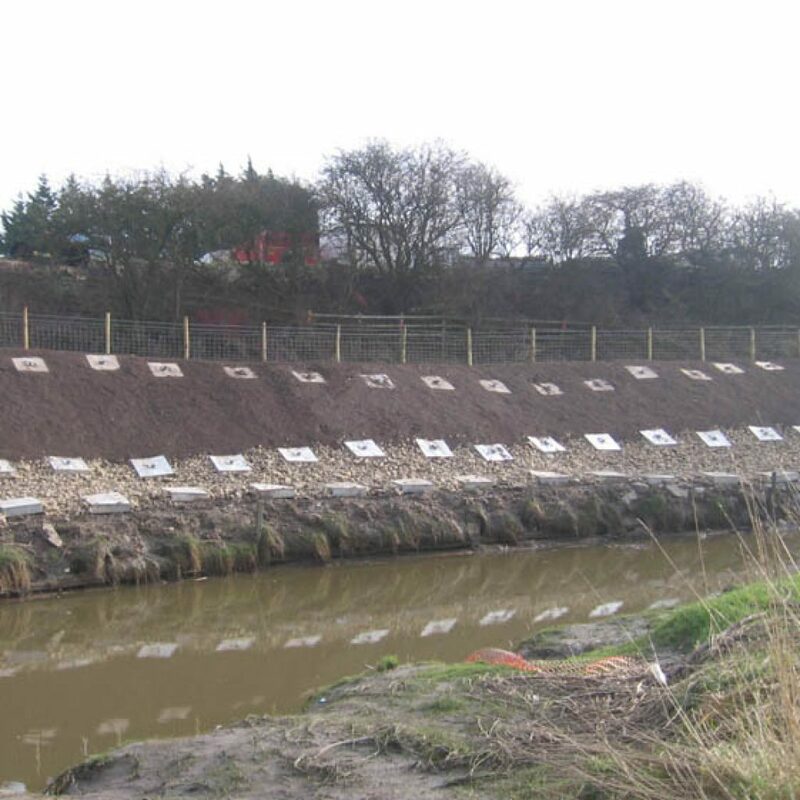 Simple and quick to install, and cheaper than external structural solutions such as retaining walls, soil nails cause minimal disturbance to the existing slope. 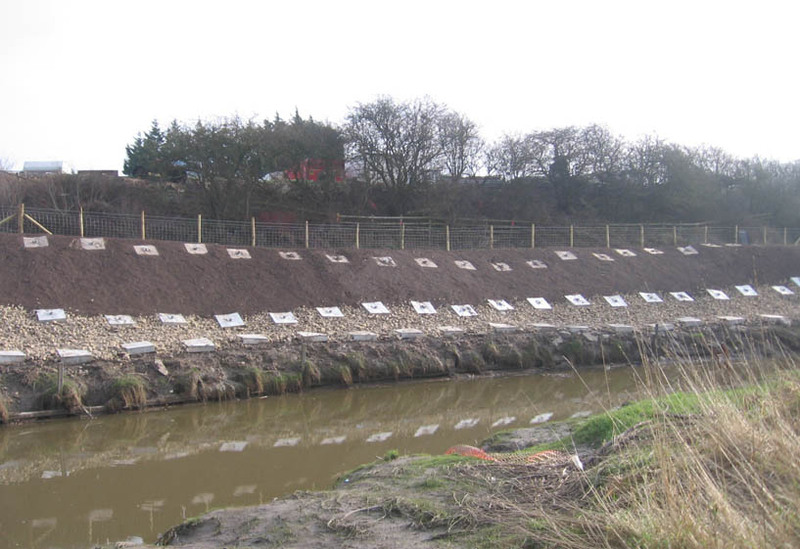 Soil nails are normally installed in conjunction with dressing of the slope surface, using netting, hydraseeding, seeded geotextiles or shotcreting. Once installed and grouted, usually a nominal 10% of the nails are tested to their design load following procedures laid down in BS8081. Condor Projects Ltd have been working at speed to complete over 4500 metres of soil nailing for Jackson’s Civil Engineering on behalf of Calderdale Council. With 30 years of experience, the management team at Condor Projects Ltd have been able to redesign the nailing to allow the drilling to move ahead of programme despite the site difficulties. Following excessive weather conditions in South Wales, Condor received an emergency call out to attend to a major embankment slippage away from the Monmouth and Brecon Canal towpath at Llanfoist.